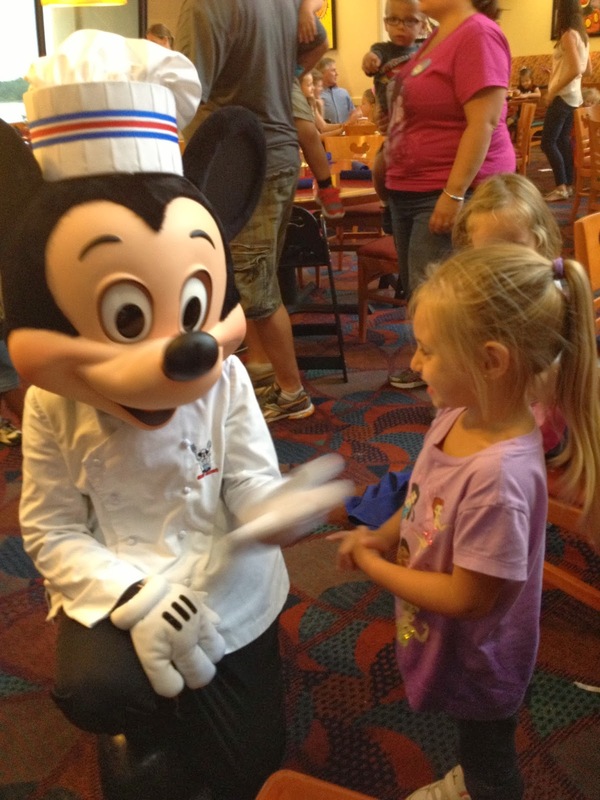 Chef Mickey's is the quintessential character meal at Walt Disney World. You get to meet the "Fab Five" - Mickey, Minnie, Donald, Daisy, and Pluto. They are all adorned in their Chef attire. My family eats here every trip because of this. You get great character interaction here plus the food is very tasty. There is something for everyone, no matter their tastes. They accommodate allergies and/or dietary needs very well, just as all of the restaurants on property. On my most recent visit, I was pleasantly surprised when I found peel and eat shrimp and crab legs on the buffet (I'm a seafood lover). They also have the usual children's buffet area with their favorites, carving stations, pastas, seafood options, vegetables, potatoes, and a fantastic dessert selection complete with a do it yourself soft serve ice cream machine! If you've never dined here before, you simply must. Even if you don't have kids (my husband and I started coming here way before kids)!